Often referred to by its alternative spelling, Vodu or ‘Voodoo’ is a religious system that originates in West Africa and is one of the oldest continuing religions on the planet. In brief, the gradual spread of the Vodu religion across the globe introduced various cultural influences into the beliefs creating branches or ‘sects’, each evolving slightly from the original. If an individual sect survived long enough, they began to develop their own system and techniques based on passed down knowledge and experimentation within their local environment. This simply means that over time the Vodu religion has developed parallel branches growing alongside each other and each is a variation of the original that has been subjected to specific cultural, religious and geographical influences. Some branches of beliefs that originated in Africa encountered more than one culture and adapted a new spiritual interpretation from each, along with various tools, traditions and techniques. Examples of these branches exist across the globe with the most recognised in the Caribbean. 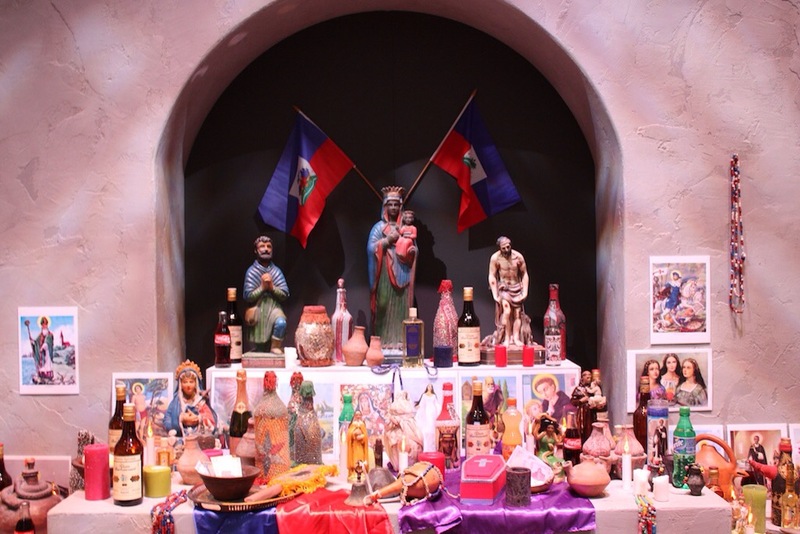 Quite a few Vodou (the Haitian preferred spelling) sects located in Haiti uphold African originated beliefs that have been influenced by the indigenous Taino people of the island, as well as the Christian invaders/ enslavers. This gives the Vodou that is practiced in Haiti it’s own very unique and recognisable style, however it is only one branch of the African diaspora and it is not the only way of understanding the philosophies or working with the spirits of Vodu. Other variations of African beliefs that have more than one cultural influence include those branches that reached the shores of the Americas. While South America generally has distinct African derived religious systems that incorporate indigenous traditions with Latin/ Christian beliefs, the Vodu that arrived in the Deep South of the U.S.A. was subjected to a large variety of regionally specific influences. 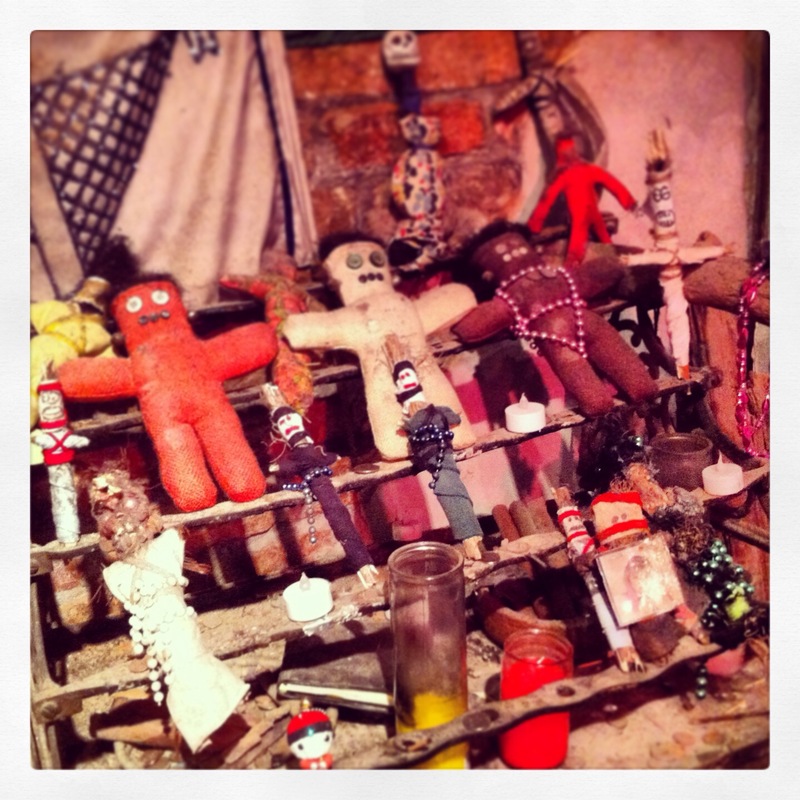 What is sometimes referred to as ‘New Orleans Voodoo’ or ‘Louisiana Voodoo’ is once again an example of how African religious systems are influenced by various cultures. Most people will know that specific region of the United States was a cultural ‘salad bowl’ for many years, so it is no surprise that African religious practices of that area have evolved to incorporate a variety of influences. Most commonly, Louisiana Voodoo utilises African derived spiritual beliefs and techniques brought from Africa and the Caribbean due to slavery, and most already had been ‘mixed’ with other systems or philosophies by the time it got there. These practices where further influenced by their associations with the local Indigenous Native Americans and in some cases more Christianity, Catholicism or other European spiritual traditions. Without the ability to maintain suitable temples for ceremonies, initiations, etc. (again thanks to slavery and dominating western religions), African spirituality in the region evolved out of necessity as many slaves used what was available to them to keep their spirituality alive. This also saw much of the rigid traditions seen through out some other African traditional religions lost and other unique branches formed. This further allowed anyone from any cultural background who was willing to learn Vodu, an opportunity to experience these ancient religious systems, even more so once slavery in the south was abolished and more intermingling of cultures/ religions occurred. This leads to pretty much how we find Voodoo practices of the region today along side the development of Hoodoo. 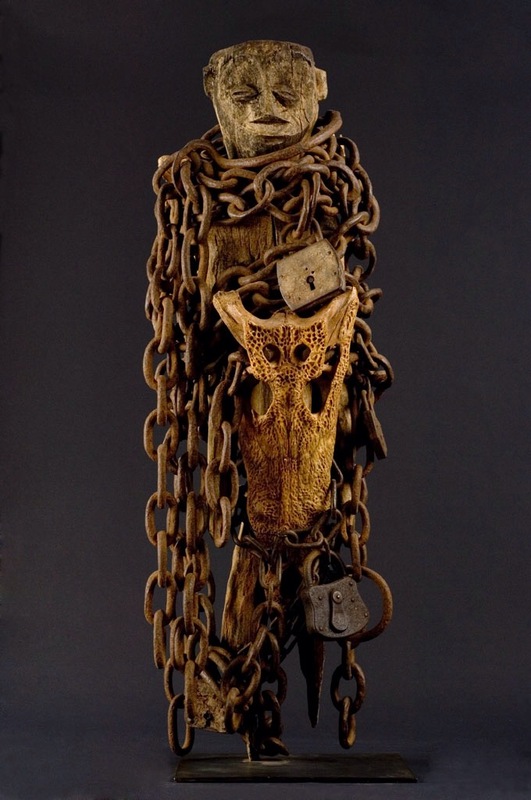 It is important to note here that while Louisiana Voodoo is associated with its own distinct influences and injected spirits, other African derived practices evolved parallel to this in locations just outside of that specific North American state. Unable to refer to these branches of Vodu as ‘Louisiana’ or ‘New Orleans’ because of their geographical differences, many just outside that region also vary in the influences on the religious system or philosophies. These other Deep South U.S.A. systems would be more accurately referred to as ‘Americanised Vodu’ practices (or AmericaniZed Vodu for those in the USA) with anyone who follows a religion of this cultural style being a Voduist. My own tradition of which I am initiated is one that is best suited to the description of ‘Americanised Vodu’. While my core beliefs are based on original African spiritual concepts, my traditional practice has evolved over time to incorporate the various cultural and religious influences the ancestral lineage has come in contact with. This has led to our ‘families’ current Vodu system that utilises techniques, tools and spiritual understandings from other African derived religions. We use these in honouring and learning from the original unseen forces of the universe, as close as we can to the ways the Fon and Ewe tribes of Africa understood them. My tradition views these original Fon and Ewe beliefs to be amongst the first human understandings of spirituality and the classified forces to be among the oldest, because of this we also regard them as the strongest, meaning they can exert a great deal of power over our own physical realm. Of course, by establishing a respectful relationship with these oldest of forces known as Loa (American spelling), a Voduist can request their aid in manipulating ones own environment or situation and is ensured an extremely effective religio-magick system. Please keep in mind my tradition has evolved in its own unique way, so there are a few aspects where we differ from most other Vodu/Vodou/Voodoo practices. One extremely important difference with my tradition and many other African traditional religions, is that we do not accept any synchronisation of the original forces with the more recent religious interpretations such as Christianity. How and when my tradition rejected and/or removed any Christian influence is unclear to me, however it is the way I was taught the Vodu religion and it is the way our tradition shall be passed on, This does sometimes cause conflict with others who practice a syncretic Christianised Vodou, particularly those who are ignorant enough to believe that their way is the only way. Another difference is that we do not charge excessive amounts of money to be trained, initiated or receive clergy status within my tradition. We are an academic Vodu tradition, one where learning and knowledge is highly valued and our selective procedures for membership of any kind reflect this along with community evaluation. We are a Vodu tradition that seeks peace and promotes balance between both light and dark forces, so we tend to lean towards a path that is for the community with a responsibility to others rather than one that seeks individual power. One thing is for certain, when it comes to Vodu and it’s sister religions, there is no ‘one glove fits all’. Each branch, sect, lineage etc has its own unique ‘something’ that makes it what it is….. how boring would it be if we all believed the exact same thing…. it would never account for unique individual and cultural experiences of this universe. Fortunately for me now, my branch of Americanised Vodu recently arrived here in the South East of Australia. It is pleasing to observe our particular flavour of Vodu gradually gain strength in this new land, as knowledge of the Loa spreads. While the traditional African philosophies of my Vodu are always going to be maintained, through an Americanised cultural ‘lens’, an adaptation to this new local environment of Australia is a delicate and exciting undiscovered path to tread. A path that is not for everyone but holds its own rewards. If you would like to learn more about my traditional beliefs and practice, please feel free to contact me with any questions and to be involved in future learning opportunities.